The portfolio of bck GmbH includes the customer-specific acquisition, selection, analysis and monitoring as well as the preparation of relevant data regarding trademark right, industrial design law and other law on names. The individual consultation before and after the search is our main focus. In addition to the pool of German (DPMA), European (EUIPO), international (WIPO), Swiss (IPI) and Austrian (ÖPA) trademarks, we carry out searches on national trademarks of all EU countries and further countries. We use our own and other commercial trademark databases as a source. You have the option to use a similarity or identity search. Furthermore, a list of the trademark pool of competitors is available. We provide the complete search result as PDF or Word file or we send you the complete printouts of the relevant hits by post. Within the framework of this method of search, we identify identical word marks. The search result includes the list of all legally valid trademarks in the relevant country. The search also considers characters which have additions to the given term. 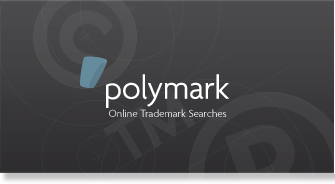 This search is used for the identification of trademarks which are no longer available for registration and exclude patentability. The major part of disputes is based on similarly sounding trademarks. We identify designations of products and services which have the same root word, a similar spelling or a phonetical similarity. This search includes the search for pictures and picture elements such as symbols, emblems, logos or figurative fonts. In a figurative mark and/or word and figurative mark search, we use two separate methods which are the word element and the picture element. To gain an overview on the trademarks of a competitor, we recommend this form of search. For an owner search, we use country-specific databases and list the available information in a table. The list contains all relevant owner names including abbreviations. New registrations can violate existing trademark rights. For this reason, continuous monitoring of the individual trademark pool is recommended. Prompt information is especially important in the regular and systematic trademark monitoring, in particular with regard to short opposition periods. We monitor according to a customer-individual search profile in the pool of German (DPMA), European (EUIPO), international (WIPO), Swiss (IPI) and Austrian (ÖPA) trademarks. Moreover, we arrange further trademark monitoring in national EU states and third countries. In accordance with an agreed interval, we provide you immediately and automatically with information on identical or similar trademark applications in the relevant class of goods. Company names are part of commercial designations which are protected within the framework of the trademark law. Therefore, a company name search is particularly important besides the trademark examination when finding a suitable name. In addition to the search in the commercial register, we carry out searches for relevant company names on the internet. This is used as additional information on commercial designations not registered in the commercial register. The search result in form of a list contains the company names, the complete address, the responsible local court and the commercial register number. We check the intended domain name for identity or similarity with existing domains and/or for infringement with further situations regarding law on names on the internet. We carry out searches on nationally and internationally registered domains for you. Titles are characteristics of print and electronic media of all kind. This includes books, magazines, films or TV productions, but also stage plays, events and software programs. Title protection automatically arises with the publication of the works and is governed by trademark law. We carry out searches in the appropriate databases for title protection, magazines, book titles, films, music titles and TV productions and provide a list of the identified identical or similar titles with indication of address, source and/or ISBN, date of broadcasting or publication date. In general, the design of all products can be protected given that it is new and individual and exceeds the average abilities of a designer. It must appeal the form and colour sensing. A pattern or model is new if it is not known in domestic expert groups. In addition to the pool of German (DPMA), European (EUIPO), international (WIPO), Swiss (IPI), Austrian (ÖPA), British (UKIPO) and US (USPTO) designs, we carry out searches on industrial designs of almost all EU countries and further countries. We use our own and other industrial design databases as a source. 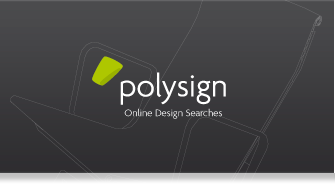 You have the option to use a subject matter search for the pool of shapes (design) or an owner search. We provide the complete search result as PDF or Word file or we send you the complete printouts of the relevant hits by post. New applications can violate exising design rights. Competitors apply for registration of new designs or give up existing designs. Therefore, continuous monitoring of the individual designs is recommended for the possible violation by third parties and/or permanent monitoring of the market participants for their strategic and future business orientation. We monitor according to a customer-individual search profile in the pool of German (DPMA), European (EUIPO), international (WIPO), Swiss (IPI), Austrian (ÖPA), British (UKIPO) and US (USPTO) designs. Moreover, we arrange further monitoring in national EU states and third countries. In accordance with an agreed interval, we provide you immediately and automatically with information on relevant infringement notes, new applications and/or changes of the legal status. The law on names is complex and its individual components are strongly interlinked. For example, a company name search may have a positive result before the decision on a company name, however, an already registered trademark could still lead to a violation of the law on names. Only this complete service gives you a comprehensive overview on the situation regarding law on names. Of course, the individual methods of search are arbitrarily combinable.